Your employees, prospects, and customers are all people. Every person your company interacts with, regardless of the type of interaction, wants to be treated like a human being. Inbound organizations understand this and put people first. [0:47] Question: Why Should Companies Put People First? 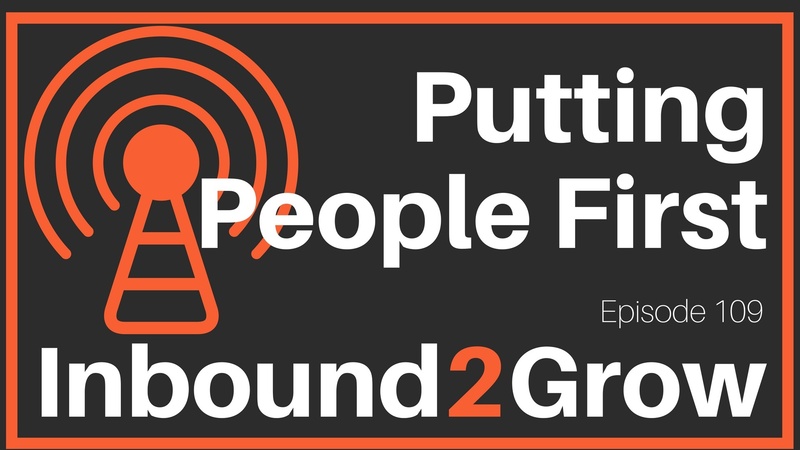 Putting people first begins, like so much of inbound, internally. Your employees are some of, if not the most, important people you need to consider. Your employees deliver and interact with your prospects and customers, and when employees aren’t engaged and committed that delivery and interaction suffers. So often we see a direct correlation between employee retention and happiness and success. Happy, engaged employees bring their all to the table, and they tend to stick around. Having high retention means that all of the organizational knowledge, relationships, and collaboration your employees gain over time stays in-house. And that is powerful! Happy, long-haul employees don’t just happen though. A company culture that supports employees and offers them a seat at the table is key. Employees need to feel valued, heard, and like they are a meaningful part of the overall organization. Putting people first touches everything from your website to your customer service to your sales teams, and it begins with how you treat your employees. Inbound companies aim to help, support, and put people first. You need someone to be the advocate for your employees. Don’t expect human resources to play this role! Your Chief People Officer should empower your employees and make them feel heard. Do you know who your employee advocate is? Do you know what our mission is? Do you know your role in our mission and what you do to help us grow? People want a sense of purpose and value, and they want to be apart of something that matters. Inbound organizations understand that, and they find ways to give their employees what they want. As a result, they see better outcomes.